Level 1: +3 to Roll, +2 to Parry/Dodge, Critical on a 19 or 20. Level 3: +1 to Body Flip/Throw (2D6 damage), +2 to Maintain Balance, Select one Power from Body Hardening, Special Katas, or Martial Art Techniques. Level 4: +1 Attack, KO/Stun on an 18, 19, or 20. Level 5: +2 to Roll, Critical on an 18, 19, or 20, Death Blow on a Natural 20. Level 6: +1 Attack, Select one Power from Body Hardening, Special Katas, or Martial Art Techniques. Level 8: +1 Disarm, +1 to Maintain Balance. Level 10: +1 Attack, +1 to Parry/Dodge, +1 to Disarm. Level 11: + 1 to Damage, Select one Power from Atemi, Special Katas, or Martial Art Techniques. Level 13: +1 Attack, +2 to Roll, +1 to Maintain Balance. Level 14: Death Blow on a Natural 19 or 20, Select one Power from Atemi, Special Katas, or Martial Art Techniques. Level 15: +1 Attack, Select one Zenjorike. Why Study AIKIJUTSU? Combining the best of Jujitsu and Kenjitsu, Aikijutsu is a powerful art with awesome offensive and defensive abilities. The main drawbacks are the intensive, rigorous and strict training, coupled with limited mental abilities. Entrance Requirements: Alignment must be Principled (good), Scrupulous (good), Unprincipled (selfish), or Aberrant (evil). There are no attribute requirements. Stance: Shizentai Gamae; a natural stance, facing either right or left, feet a shoulder's width apart, forward hand outstretched loosely, rear hand held back for defense. 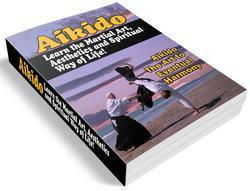 WHY STUDY AKIKAI AIKIDO? A slightly more combat oriented style than standard aikido, it should appeal to those who need some offense with their defensive skills. 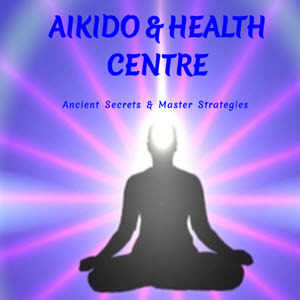 Somewhat less mystic power than the usual aikido.